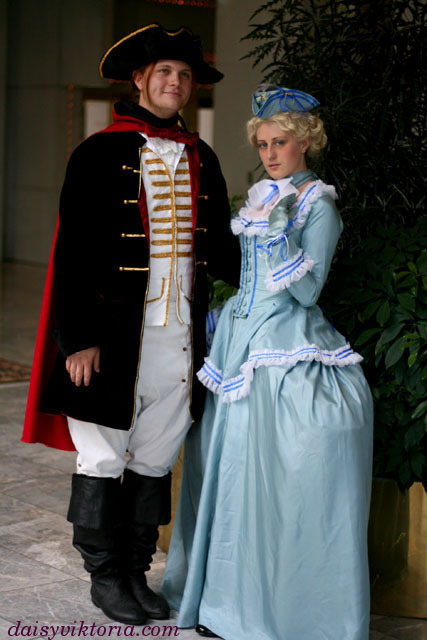 Largely inspired by the designs in the recent movie, this Count Axel von Fersen ensemble was made using extensive historical research. 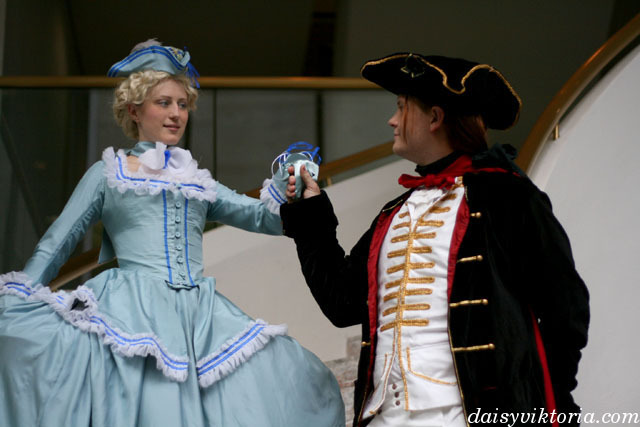 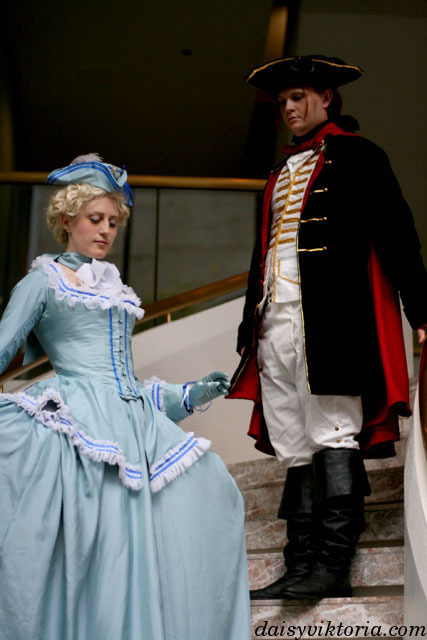 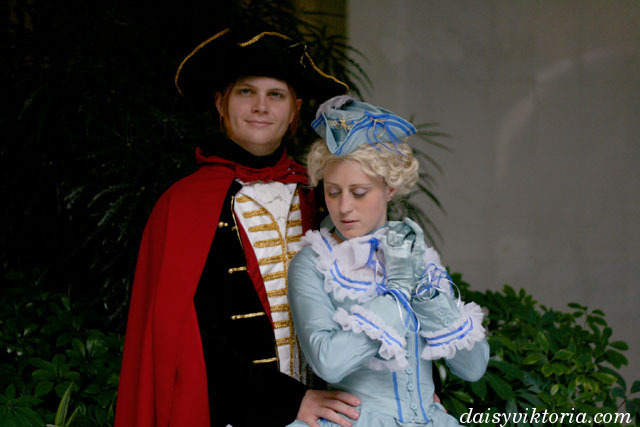 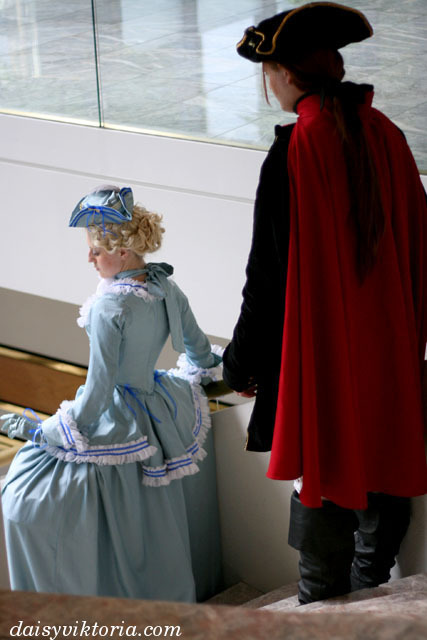 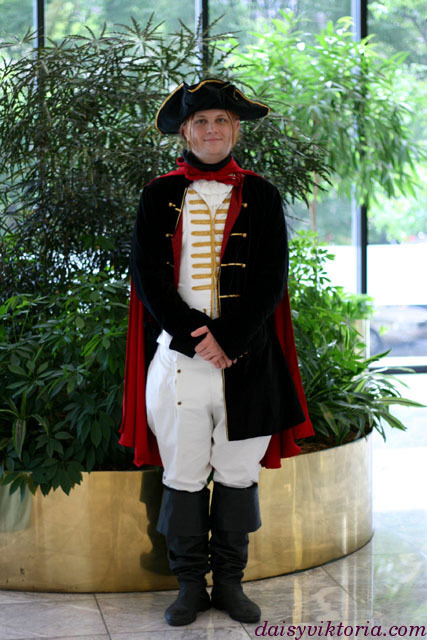 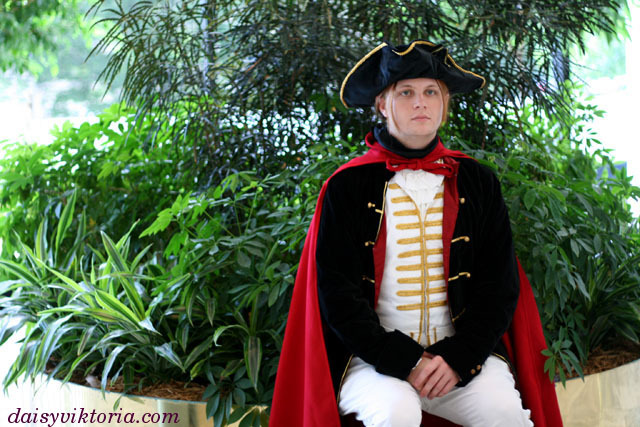 The costume features a frock coat, fall front breeches, a shirt, vest, and tricorn hat. 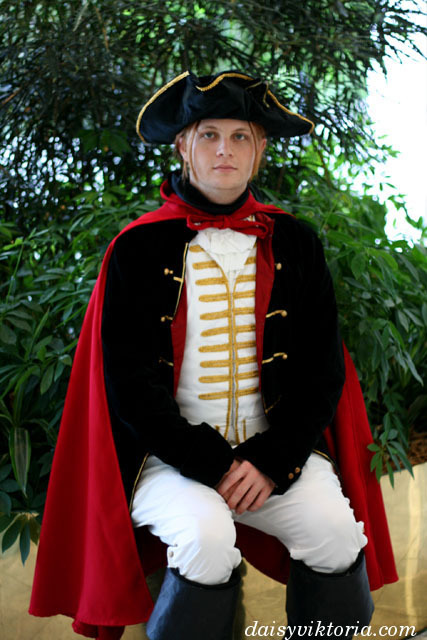 Materials include velvets and silks, as well as cottons and linens.